Being an organized assistant is important when supporting a busy professional advisor or attorney, especially one that may be meeting with multiple clients and managing multiple projects and priorities (like most professionals are doing). Organization isn’t just about how your office looks, but it is also how you manage yourself and ultimately what can become your thoughts and actions. However, sometimes just the act of organizing your surrounding environment is enough to help organize some of the rest of your chaos. Staying organized with your paperwork, your desk or office space and your to-do list is probably half or more of what’s involved to completely stay organized throughout your day. We’ve learned that one of the biggest time-wasters for people in the workplace is losing and looking for things. How much time have you spent this week looking for something? How about today? Hopefully, not too much. But, if you have ever spent more than a couple of minutes looking for something, the disruption to your level of efficiency is huge by the end of the day. That’s why it may be high time for you to take a moment and organize yourself. Tip #1: Clean the Clutter. If your office looks like Hurricane Sandy made its path through it, then the first and one of the most important steps in organizing yourself is to clean up the clutter in your office. Take time to go through drawers, piles, stacks, files, etc. Go through everything that you have in your possession and figure out a system that makes sense for organizing the stacks. If you have things you need to work on, put that in one stack. If you have things you need to hold onto until you hear back from someone else, put that in another stack. If you are holding files for your boss until he or she needs to work on it, put these in another stack. If you have files that you need to hold, but don’t have any pending action items, figure out a way to file these away. This could be alphabetically (which may make the most sense) or it may be chronological. Whatever makes sense for the kinds of files and paperwork you hold, figure out a filing system. Then, make an inventory of the files you have in your possession so that not only can you easily locate them, but you can also identify what it is that you have in your office. Cleaning up this clutter in your office will not only benefit you, but it will also give your boss, your coworkers and also any clients that may see your office a greater sense of trust in you so that they can come to you, leave something in your possession and know that it won’t get lost or forgotten about. Also, whenever you come into your office each day, you won’t feel the anxiety and stress that comes from immediately seeing all this chaos and confusion. You can start your day fresh and with a purpose in mind. To show you that we practice what we preach, here’s some photos of Kristina’s office. Tip #2: The Post-It Endorsement. If you’re not already doing this, Post-Its are your BEST FRIEND. As an assistant, it is nearly impossible to mentally track all of the things that you need to do, what’s going on with each and every file, what the status is for each item in your office, etc. Once you clean up the clutter, go through and figure out what’s going on with each file. If there are things that you need to do on something, use a Post-It and put down what it is that you need to do and when it needs to be done. This will help you put your tasks in chronological order and prioritize. If you have a file you’re holding for your boss, put down what you’re holding it for. Is it for an upcoming appointment? An upcoming phone call? Does your boss need to do something with it? Whatever it is, write it down on a Post-It and put the files in order so that you don’t miss (or cause your boss to miss) any important deadlines. We cannot count the times that a Post-It has saved us from precious time lost figuring out what’s going on with a file. Tip #3: Create an Inbox and a Follow-Up Box. If you’re in an office where you’re handed a lot of different files, notes, or paperwork from your boss or coworkers, set up an Inbox for yourself that is close to the door (but preferably outside your office) so that people can come by and drop things off for you (without interrupting you!) and you can easily spot and identify any new tasks or items that you may be given. If you’ve ever experienced frustration in coming back to your office from using the restroom or making a copy and having what feels like 5,000 things dumped on your desk or your chair (or perhaps even your floor), then make it easier for others in your office to spot and identify an inbox immediately inside your office door (or outside) to drop off items for you. Also, create an internal “Follow-Up Box” for yourself. This is a box where you can put files, e-mail correspondence or other items that you need to follow up on. A lot of people have a tendency to send an e-mail or send a letter to someone on a matter and assume that people will respond, which will then prompt the next set of actions. That’s not always the case. Part of being a great assistant is to take the stress off of your boss and take the administrative tasks out of his or her day so that he or she can focus on the tasks that are most valuable and important to them, to your business and, in effect, to you. Following up with people on miscellaneous, yet still important, details is not the best use of their time and when you, as the assistant, are not on top of these details, it reflects negatively on your boss (and perhaps even your company, depending on the nature of the detail missed). So, create a Follow-Up Box to store any and all items you still need to see through to the end and schedule yourself to go through that box daily, weekly, monthly – – whatever it is that makes sense to you and how you’re using your follow-up box. Use this box to your advantage. Tip #5: Block Time Off Each Day to Organize. Depending on how “bad” your office may be right now, you might have to spend quite a bit of time to organize and get it in good working order. After you’ve done that, it’s just maintaining this order and being disciplined in your habits to continue to stay organized. Block time off at the end of each day to organize yourself. This could include creating a To Do List of the items that you’re going to work on for the next day, going through your Follow-Up Box, clearing out any miscellaneous e-mails from your Inbox and clearing off items that may have built up in your office throughout the day. Taking the time to make it so that when you walk into the office the next business day with a clear, fresh start can be some of the best minutes spent of your day! We know that these organization tips may seem like a lot of common sense, but after years of assistant experience and helping other assistants, we can honestly say that while they may seem “common”, they are not commonly practiced. And these tips only address office organization on the surface and physical organization of your work space. How “electronically” organized are you? E-mail inboxes, e-mail folders, computer desktops and electronic files are a whole new topic which we already have lined up for our next monthly newsletter. Pssssst… are you an advisor reading this article? If so, that’s fine. While this article is written for staff members, many professionals would benefit from it as well. But be sure to pass along this article to your assistant. Click here to forward this article over to your assistant so that he or she can read it and benefit from it, too. Also, you may wish to encourage your assistant to sign up to receive our monthly newsletter directly so that they can get these helpful tips and articles each month, too. To sign up your assistant to receive our e-mails, click here. Kristina Schneider is the current Executive Director of The Ultimate Estate Planner, Inc. She graduated with a Bachelor’s Degree in Business Administration from Pepperdine University in 2004 and was hired right out of college to work for the Law Firm of Kavesh, Minor & Otis, coordinating and facilitating Philip Kavesh’s “Missing Link” Boot Camps while also providing administrative support to Mr. Kavesh as his Executive Assistant for over seven years. Through her direct hands-on experience in Mr. Kavesh’s law firm, Kristina has been able to assist numerous estate planning professionals through The Ultimate Estate Planner and, equally as important, many of their staff members, in the successful implementation of Ultimate Estate Planner’s products and systems. 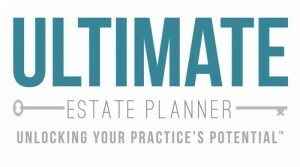 You can reach Kristina at (424) 247-9495 or by e-mail at kristina@ultimateestateplanner.com. Megan DeLaGarza is the current Director of Operations of The Ultimate Estate Planner, Inc., having joined the company in May 2011. Megan graduated from the University of Maryland, College Park with a Bachelor’s Degree in Criminology and Criminal Justice. As Director of Operations, she handles a variety of tasks that include customer service and teleconference facilitation. In addition to her duties as Director of Operations, Megan also wears a second hat, serving as Philip Kavesh’s Executive Assistant, providing him direct administrative support and managing his busy calendar. You can reach Megan at (424) 247-9337 or by e-mail at megan@ultimateestateplanner.com.